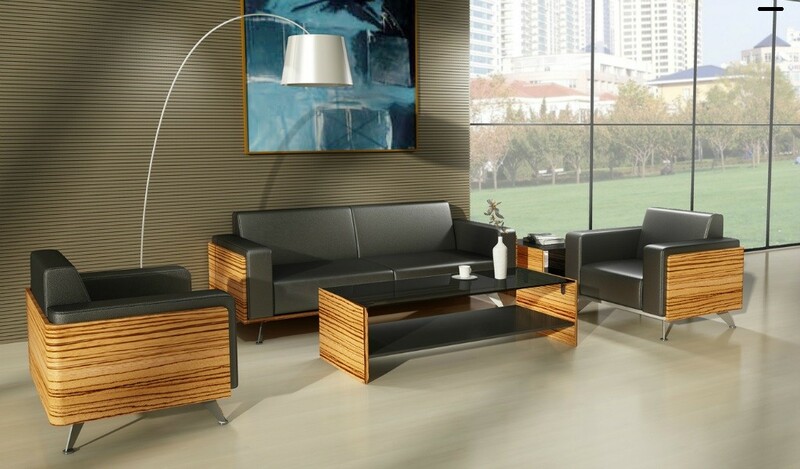 This uniquely designed sofa is an example of creativity, design and aesthetics at its unconventional best. 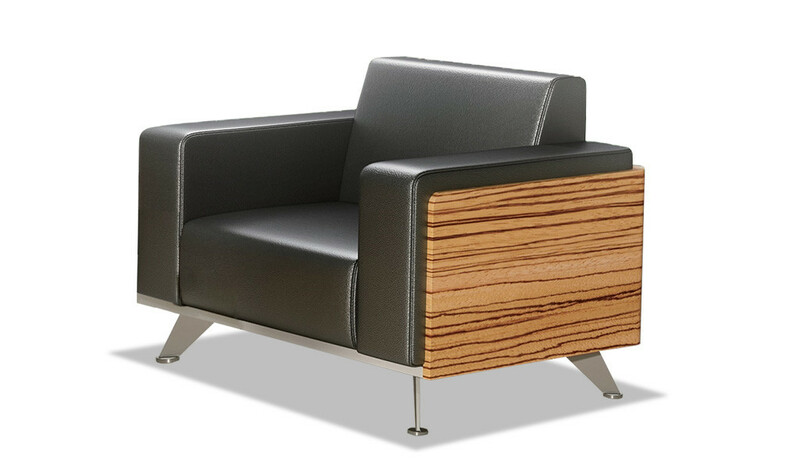 Carved out of highest grade of foam draped in rich colorful fabric and supported on 304 stainless steel base this sofa will add an unmistakable accent to your office. 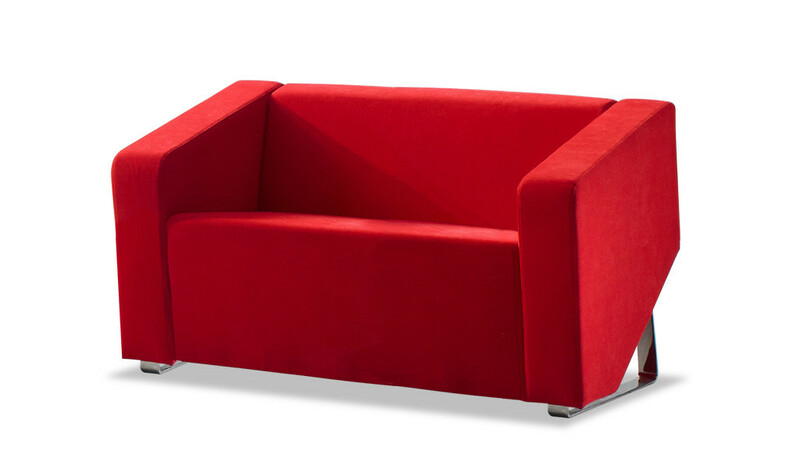 – This sofa looks best in red fabric as seen in the picture. Can also be ordered in various other colors of your choice. 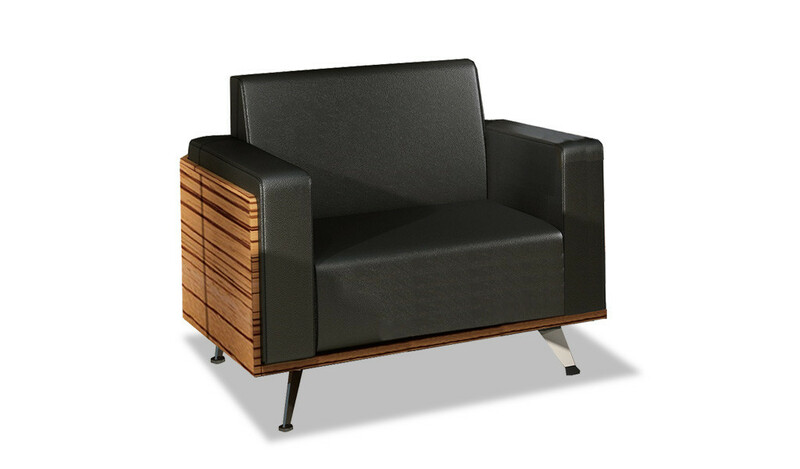 – A great choice for waiting areas, lounges, lobbies and large cabins. 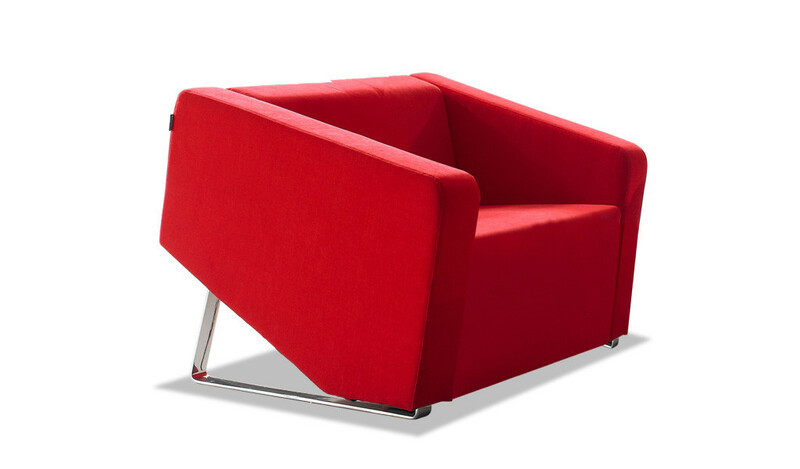 – Two seater sofa with heavy duty stainless steel base. 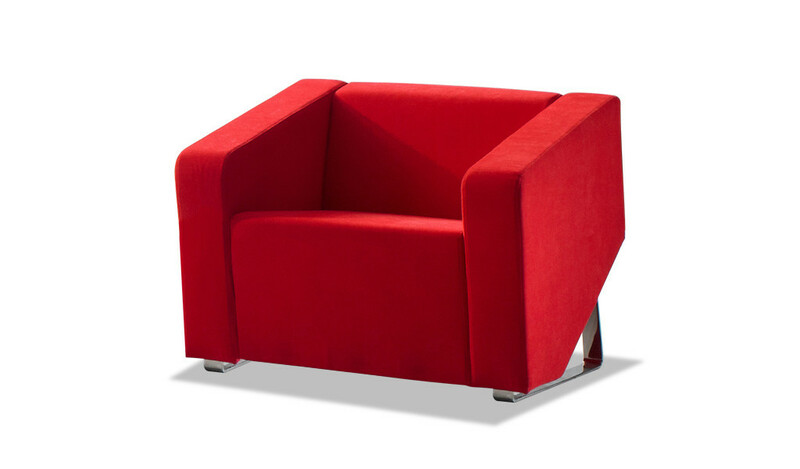 – Fabric, high density moulded foam and heavy duty stainless steel base. 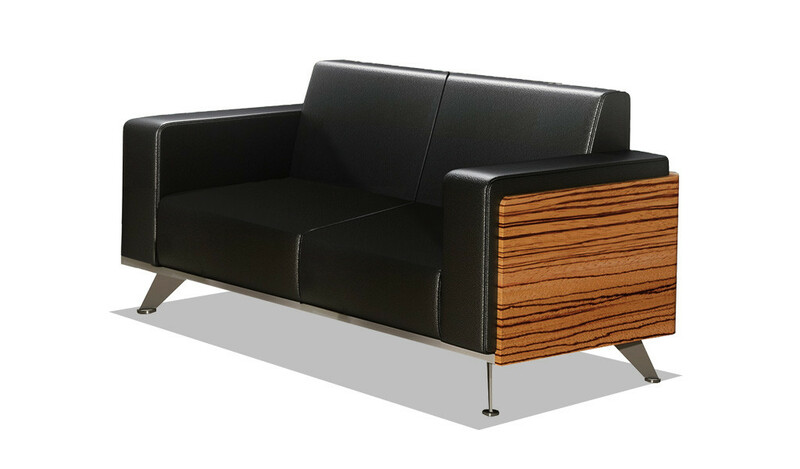 – A large and stylish sofa with a modern styling. Can be ordered in fabric of different colors too.